Elder Mathias Held started his talk with a story about his early marriage when he was led to Germany for his career and joined the Church thanks to the guidance of the missionaries. Even though he saw the Church had only good qualities, he wasn’t sure about baptism. He eventually felt that if it was good in his heart then “there was no reason not to be baptized.” He put a focus on faith and on what he already knew instead of trying to learn everything. He said that when we look at truth through a higher perspective, it can help create a more thorough understanding of truth. He analyzed “The Family: A Proclamation to the World” and showed how it makes more sense with the perspective of faith and love. 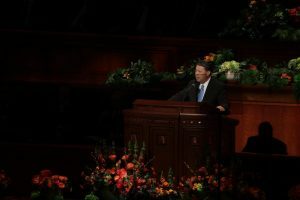 Elder Takashi Wada spoke about how feasting is more than a delicious meal, it is being filled with joy. So when we feast on the words of Christ, it is with the mindset of having great joy. He discussed why we need scriptures in order to overcome struggles in our lives and discover who we are. Wada witnesses that studying the words of Christ can help us personally and to help others. “The words of Christ will profoundly touch hearts and open the eyes of those who do not yet see Him,” he said. With the words of Christ and when we dedicate our hearts to feasting upon them, he promised that we will have greater experiences. Elder Homer declared that we must choose which voice of the many we hear that we will listen to. 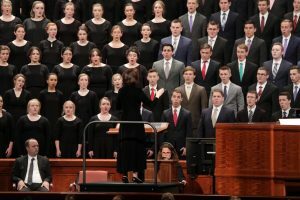 Elder Jeffery R. Holland took viewers on a brief trip to the history of the scriptures, all the way back to Adam and Eve, and their sacrifices of the firstborn lamb. This sacrificial pattern was a representation of Christ and his eternal sacrifice. He linked this to the “symbolism much deeper, much more introspective and personal than the bloodletting of a firstborn lamb” – the symbolism of the sacrament. He discussed how attending church on Sunday is still extremely important as a way to worship Christ and remember his sacrifice. 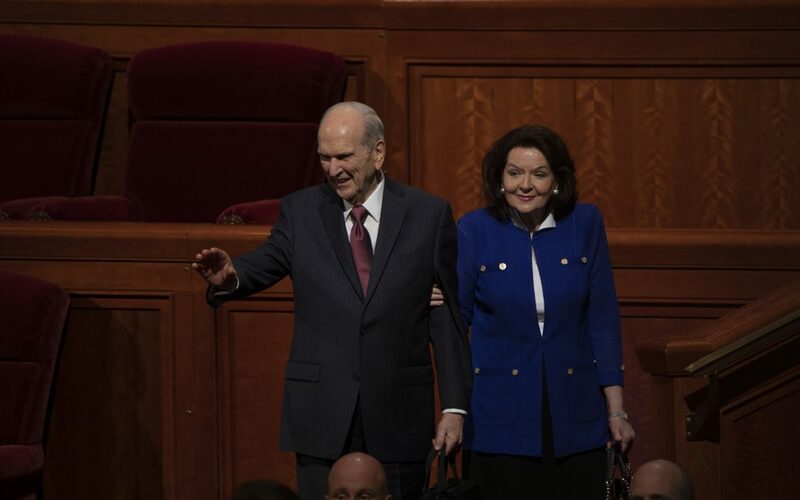 “Such a moment demands our respect!” Elder Holland declared. 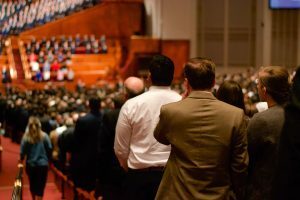 He told us to be “mindful of the other broken hearts and sorrowing spirits that surround us.” So many people are struggling with things from personal struggles to leaving the Church, and he says that we should relieve their pain.